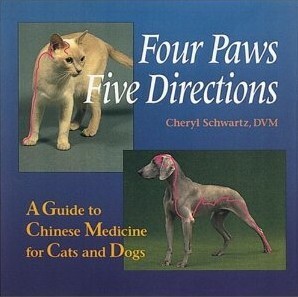 The first thing I want to share with you is the wonderful book on Chinese Medicine for use with cats and dogs that I showed you during break in class. You can find it easily on Amazon and you’ll understand how to use it better once you have taken Meridians and Five Elements in June. I went through all of the new Repatternings to break them down into parts that you can use now and those that you can save for later on when you want to add more pieces of the work. Please remember that the most important thing that you will use when you have your fluency and when you have full access to all the parts of all the Repatternings is that your muscle indicator is always your guide. It is important to know how to do all the parts but more important to use your muscle indicator to guide the direction of the Repatterning for the maximum healing potential that is dictated by the client’s higher self, or energy field. With that in mind, here is what I have come up with as a plan for practicing and learning to use the five new Repatternings. Again, this is not an assignment that you must do, but rather a guide if you should need it. The Commitment Repatterning: Do B.a. ; B.b; E and F. Later (mcs) C and if so, do D.
The Self-Image Repatterning: Do B.a; B.b; B.c ( #1 or #2); B.d; B.e. or B.f.; D.a. ; D.b. ; D.c.; D.d. ; D.e. ; (mcs) for E. Later do C.
The Creative Self-Expression Repatterning: Do B; C.a. ; C.b. ; C.c. ; C.d. ; C.e. if appropriate; D.a. ; D.b. ; E.; G.a. ; G.b. ; H. Later (mcs) F; (mcs) I.
Desire- Do all A.; B.; C. (with option C. h.); Do D.;E.
Greed- Do A.; B.; C. (with option C. h.); D.
Fear- Do A.; B.; C. (with option C. h.); D.; E.
Worry- Do A.; B.; C. (with option C. h.); D.; E.
Infatuation- Do A.; B.; C (if a person is involved); D. ( with optional D.h.); E.
Jealousy- Do A.; B. ( with optional B.h. ); C.; D.; E.
Pride/Ego- Do A.; B.; C. (with optional C.h.);D. The Appreciation Repatterning: Do B.a. ; B.b. ; C ( C. with optional C.h.) D.a. ; D.b. ; E.a. ; E.c. ; F.; H.; Later Do B.c. ; B.d. ; D.c.; E.b. I hope that you are using one little part of the system every day even for two minutes to keep practicing your muscle indicator and to shift your energy in some way. Practice as much as you can and have fun! This entry was posted in Book Reviews, Notes for Students. Bookmark the permalink. Thank you Dear Trinket.. You are officially to be proxied. I’m looking forward to seeing you this Sunday. Happy Spring! Happy Spring Dear Joie.. I am looking forward to seeing you as well !